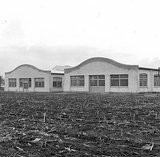 1910 The Wright brothers open the first civilian flight training school in Montgomery, Alabama. 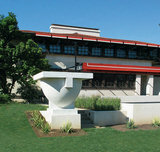 They also introduce their most successful commercial aircraft, the Wright Model B.
Frank Lloyd Wright is recognized internationally for his contributions to architecture. 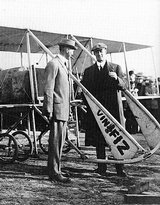 1911 The Vin Fiz, a Wright airplane piloted by Cal Rogers, crosses America in 84 days. The Wright Company delivers the US Navy's first airplane, and Orville sets the world's first soaring record, remaining aloft in a glider for 9 minutes and 45 seconds. 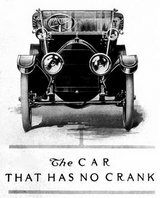 Charles Kettering, a friend of the Wrights, develops develops a modern ignition system and a self-starter for automobiles. Roald Amundsen reaches the South Pole. 1912 Wilbur Wright dies of typhoid in Dayton, Ohio. Orville and his sister Katharine acquire land in Oakwood, Ohio where they will build a new home, Hawthorne Hill. 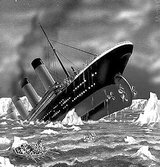 The S.S. Titanic sinks on her maiden voyage and 1513 people are drowned. Carl Jung publishes his Theory of Psychoanalysis. 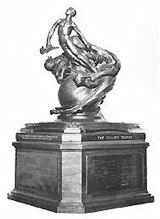 1913 Orville Wright wins the Collier Trophy for the development of the automatic stabilizer. The Wright Company introduces its first water-based aircraft, the Model CH hydro-airplane and Model G aeroboat. A disastrous flood in Dayton submerges the Wright home. Henry Ford introduces the moving assembly line. 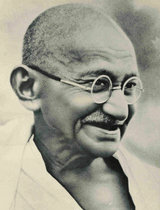 Mahatma Gandhi, proponent of "passive resistance" for political change, is arrested for the first time. 1914 U.S. courts decide in favor of the Wrights in their suit against Curtiss, and the' 1906 patent becomes the "grandfather" patent of the airplane. To counter this judgment, Curtiss rebuilds the 1903 Langley Aerodrome, makes many improvements, flies it and claims his experiment shows that an aircraft may have flown before the Wright Flyer. War is declared in Europe and quickly expands to become World War I. It is the first conflict to use airplanes extensively as fighters, bombers, and reconnaissance. 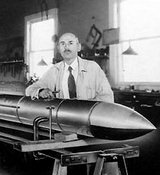 The Panama Canal opens and Robert Goddard begins his first rocketry experiments. 1915 Orville Wright sells the Wright Company and his patents to a group of investors in New York. The Smithsonian publishes its 1914 Annual Report claiming that Langley's Aerodrome was the first manned aircraft "capable of flight," citing Curtiss' flights in the modified Aerodrome. This begins a bitter feud with Orville Wright. 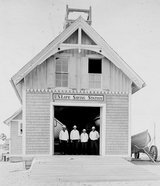 Margaret Sanger is jailed for writing a book on birth control and the U.S. Lifesaving Service — which helped the Wrights launch their first airplane — is recast as the U.S. Coast Guard. 1916 The Wright Company produces its last airplane, the Model L. Orville Wright restores the 1903 Flyer I for a display at the Massachusetts Institute of Technology and buys Lambert Island in Lake Huron to serve as a summer home. 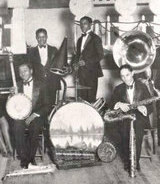 Paul Langevin invents sonar to detect submarines, the U.S. National Park Service is established, and jazz emerges as a distinct form of American music. 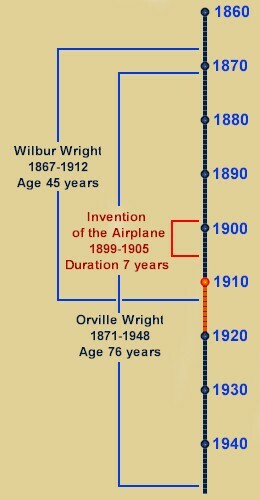 1917 Orville Wright lends his name to the Dayton-Wright Airplane Company and serves as an engineering consultant. The company builds airplanes for the U.S. Army. His father, Milton Wright, dies. 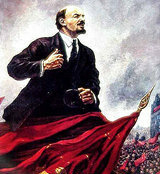 The United States enters World War I and the October Revolution makes Russia the first socialist state. 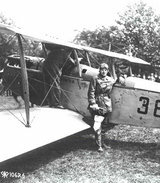 1918 Orville Wright flies a Wright Model B for a celebration in Dayton -- the last time he pilots an airplane. With Fred Nash, Orville designs the Liberty Eagle, an unmanned "aerial torpedo." It is the forerunner of the guided missile. World War I ends, the U.S. Post office offers the first regular air mail service, and a world-wide flu epidemic kills 22 million people. 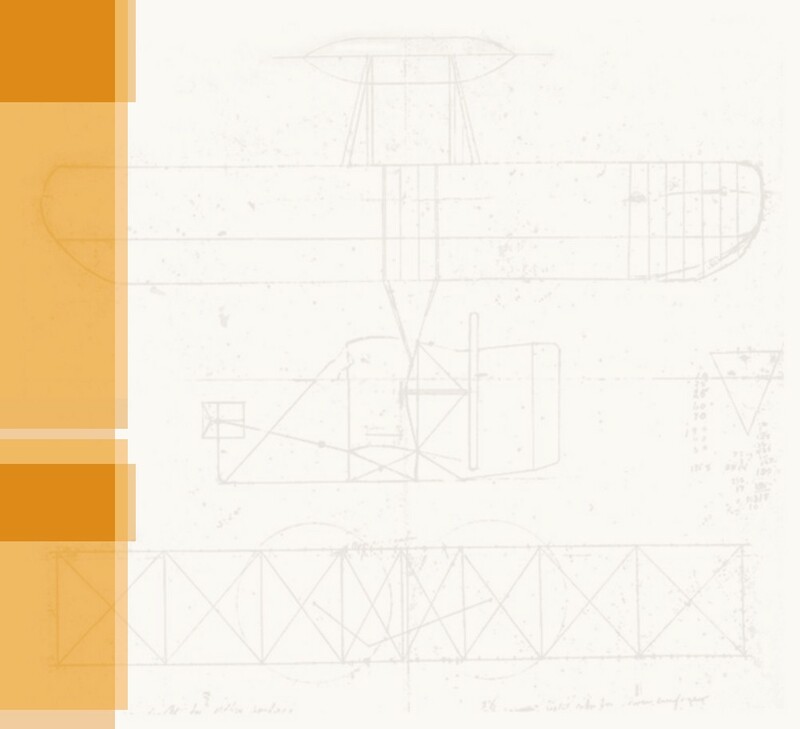 1919 Orville designs the OW.1 Aerial Coupe for the Dayton Wright Airplane Company. It's a luxurious four-place cabin biplane, and the last aircraft either of the Wright brothers ever designed. 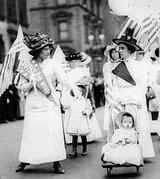 Women get the right to vote in the United States and the League of Nations — the forerunner of the United Nations — is founded.